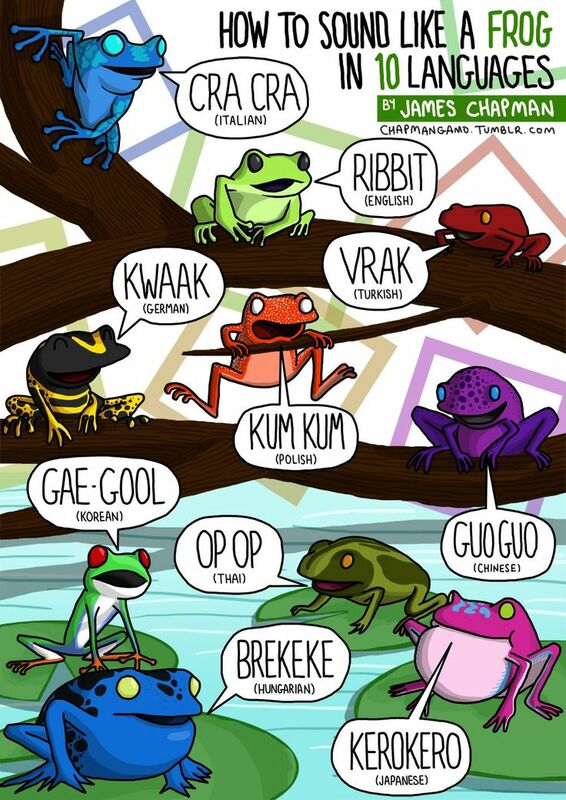 “How to sound like a frog in 10 languages” and other multilingual animal sounds by artist James Chapman. Bonus from Blogger: In French, crickets are called “cri-cri” after their sound. Via Neatorama.